After a long bike ride (21 miles) with my husband, and a quick stop for a beer at a local brewery on the way home, I believed I had just enough time to make a batch of muffins before showering, dropping a child off for a sleepover, other children home after playdates, and then driving out into the country to a friends beautiful home, where we had been invited to have dinner. I completely miscalculated, and we ended up being rather late to our final destination, which, even though I am often late, was still very embarrassing. 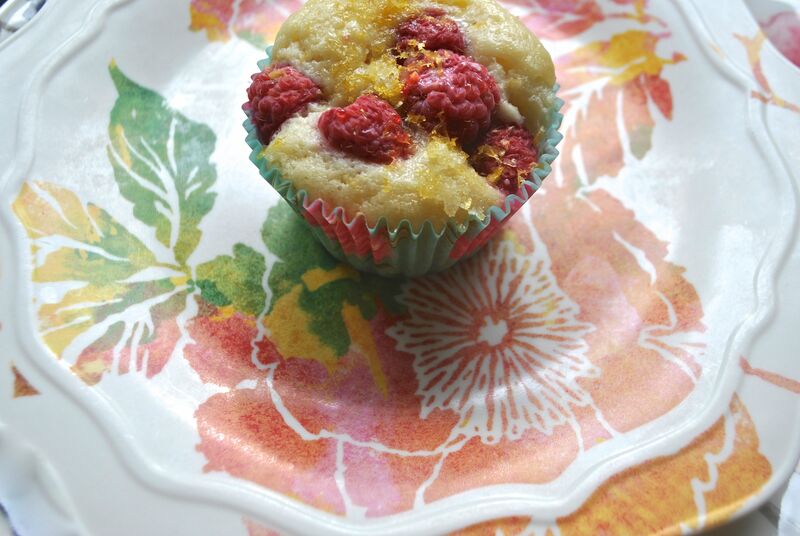 However, I did arrive bearing Raspberry Topped Lemon Muffins – although our gracious host insisted we didn’t need to bring anything, I thought these would be a welcome addition to their family breakfast table, without interfering with the menu that was planned for the evening. Line 14 muffin cups with paper liners. Mash 1/4 cup sugar and lemon peel in small bowl until sugar is slightly moist. Whisk flour, baking powder and salt in medium bowl to blend. Using electric mixer, beat remaining 1 cup sugar and butter in large bowl until smooth. Beat in egg. Beat in buttermilk, then vanilla and half of lemon sugar. Beat in flour mixture. Divide batter among muffin cups. 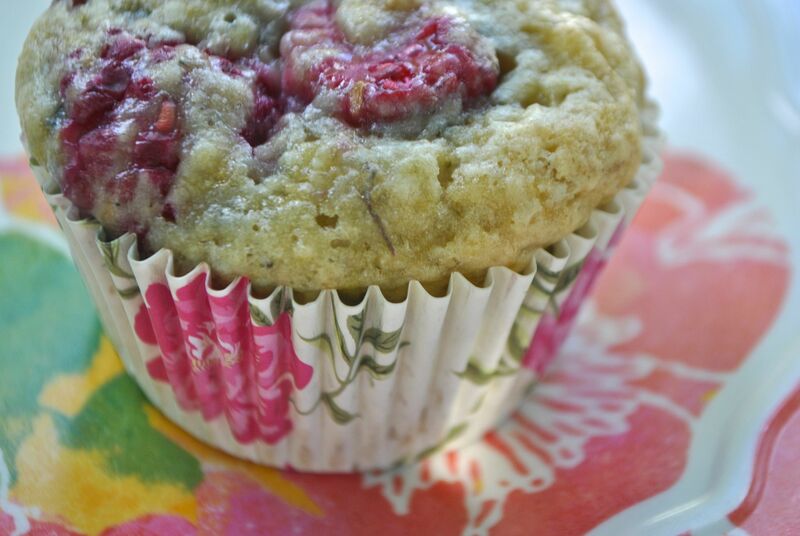 Top each muffin with 4 raspberries. Bake muffins until lightly browned on top and tester inserted into center comes out clean, about 35 minutes. 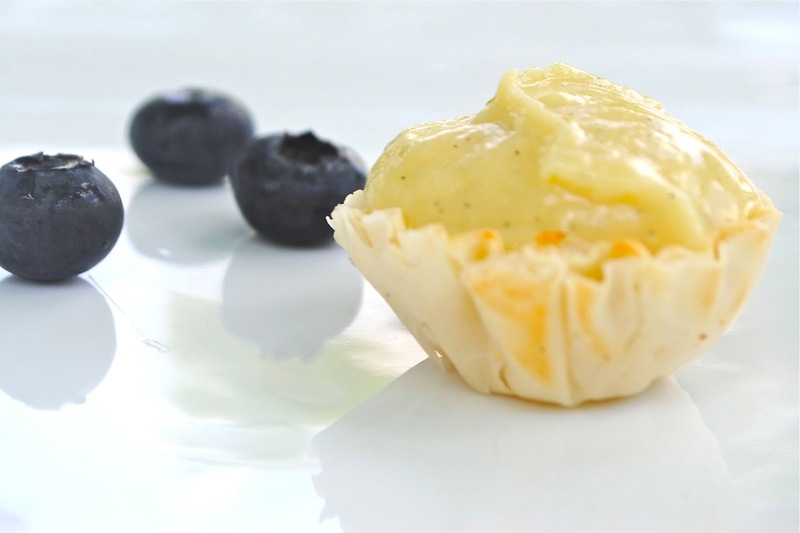 Brush tops of muffins lightly with cream, sprinkle with remaining lemon sugar and cool. 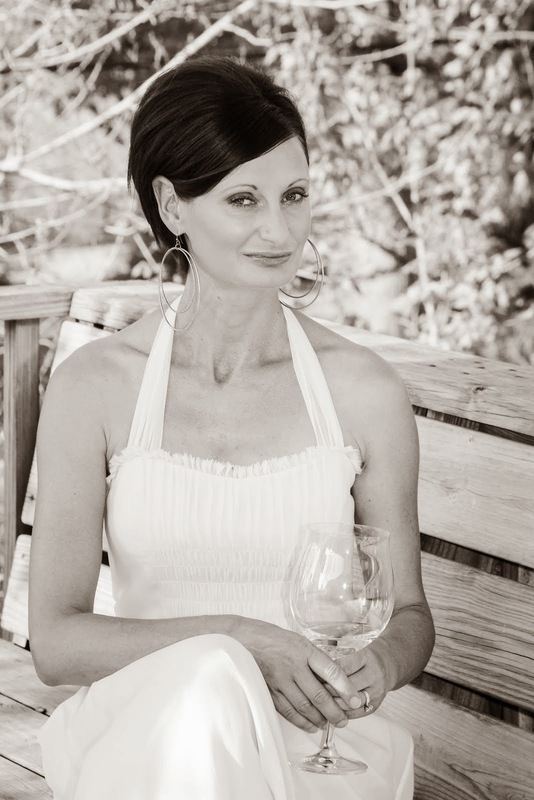 An uncomplicated, humble sweet is the perfect conclusion to a charming and enchanted evening. Plain vanilla shines through in these simple, divinely delicious desserts, as oppositely unembellished as the celebrated, glitter and glow of the star-studded Oscars evening. Whisk together sugar and flour in a 3 quart heavy saucepan, add buttermilk and eggs and whisk until blended. Cook over medium heat, whisking constantly 7 to 8 minutes or until a pudding like thickness. Remove from the heat and stir in vanilla bean paste. Cover and chill 4 to 24 hours. Bake tart shells if needed, according to package directions, and cool compleately. 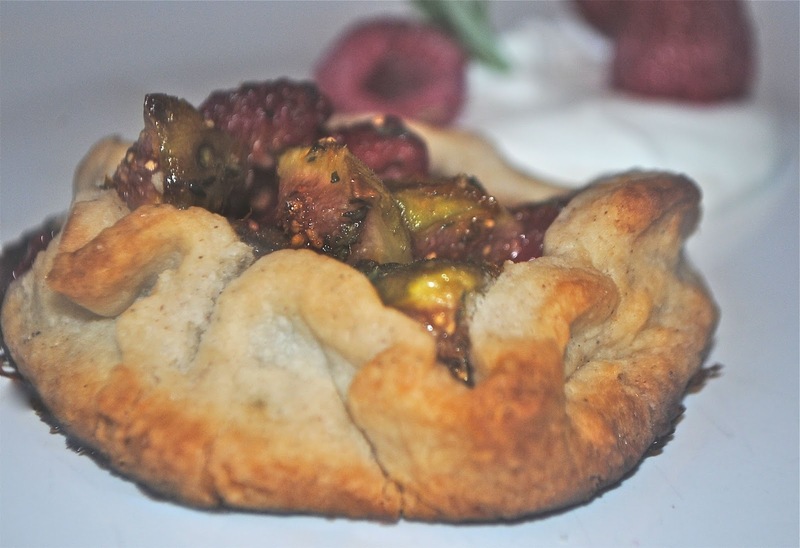 Spoon custard into tart shells, and top with desired toppings just before serving. In a small bowl, sprinkle gelatin over cold water, set aside to soften gelatin. In a 2 quart saucepan, heat whipping cream, milk, sugar, vanilla and raspberry jam over medium heat to simmering, stirring frequently until sugar is dissolved. Remove from heat. With whisk, stir in softened gelatin until completely dissolved. Cool to room temperature, about 15 minutes. Divide cream mixture evenly among glasses. Refrigerate until set, about 2 hours. 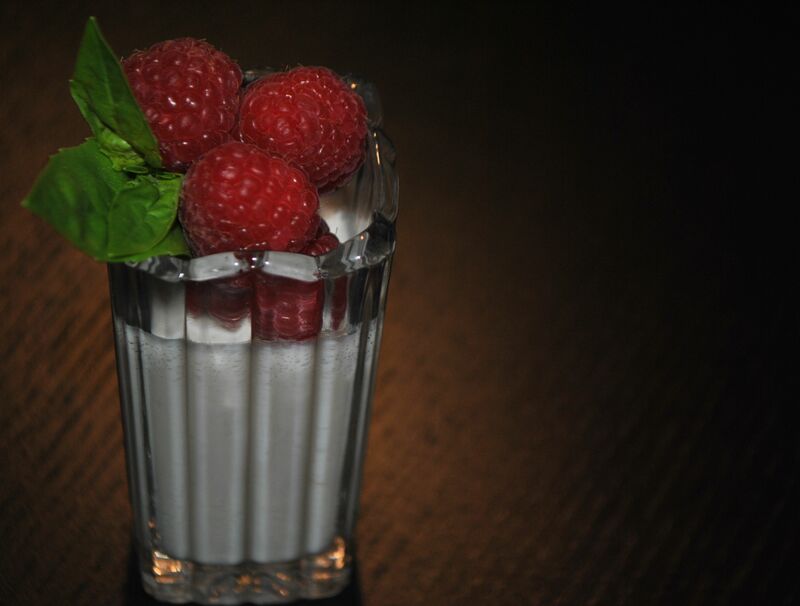 Just before serving, top each panna cotta with fresh raspberries and garnish with mint. Both of these delicious muffins contain fruit – mashed banana and applesauce – for added depth, moistness, and the ability to indulge and enjoy guilt free. Heat oven to 350F. 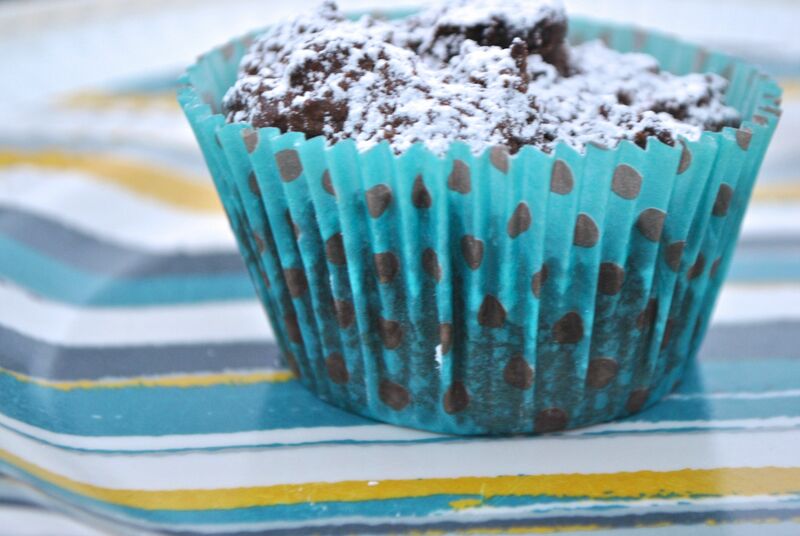 Place paper muffin cups in 12 hole muffin tin. In a bowl, combine flour, sugar, baking powder, baking soda and salt, whisk to blend. Make a well in the center, set aside. 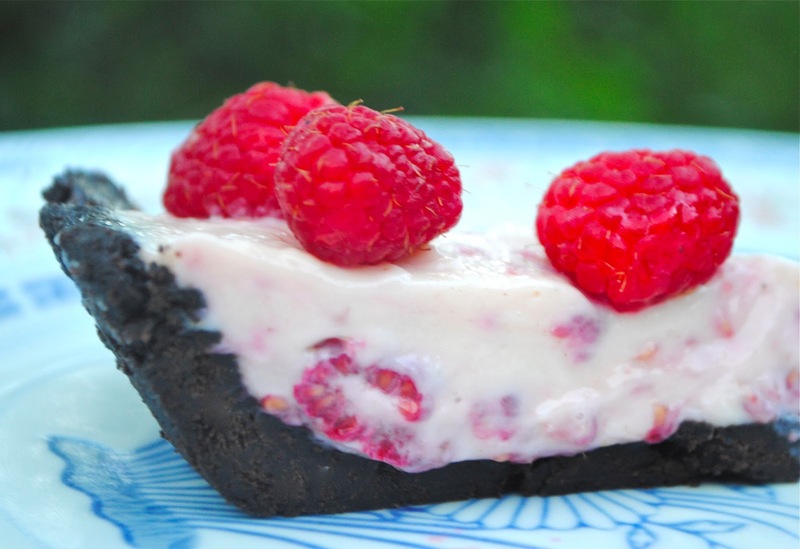 In a bowl, combine bananas, milk, egg and vanilla, fold in raspberries. Pour batter into center of dry ingredients, fold together until combined. Do not over mix. Divide batter evenly between muffin cups, bake for 15 to 20 minutes, or until a toothpick inserted in the center comes out clean. Cool in pan on a wire rack for 5 minutes, remove muffins from tin and cool completely. 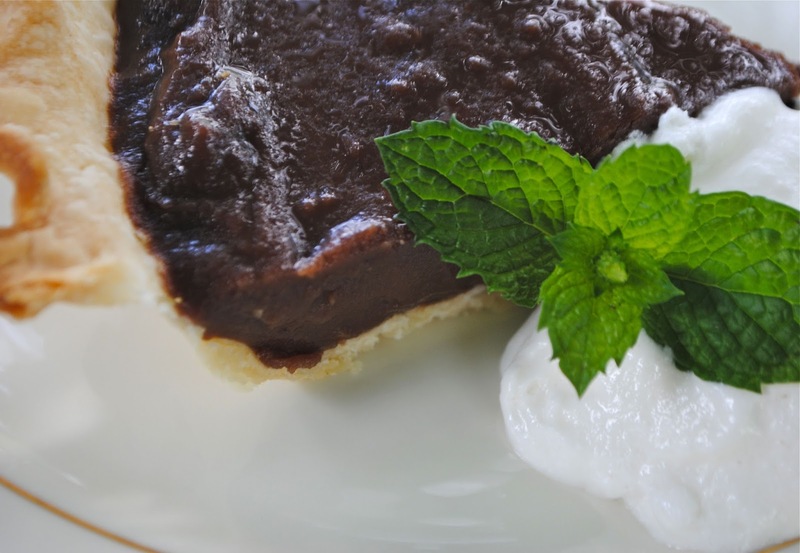 Combine butter and dark chocolate in a small microwave-safe bowl. Microwave on HIGH 45 seconds, stirring every 15 seconds. Stir until smooth. Cool to room temperature. Combine flour, cocoa, baking powder, salt and baking soda in a large bowl, stir well with a whisk. Combine granulated sugar, milk, vanilla and eggs in a bowl, stir with a whisk until well combined. Add butter mixture and milk mixture to flour mixture, stirring just until combined. Gently stir in chocolate chips. Divide batter evenly among 12 lined muffin cups. Bake at 425F for 5 minutes, reduce oven temperature to 375F. Bake for 10 minutes or until a wooden pick inserted in center comes out with moist crumbs clinging. Cool in pan on a wire rack for 5 minutes. Remove from pan, cool completely on wire rack. Sprinkle with powdered sugar if desired. A friend made raspberry preserves from the wild raspberries her and her family had picked at their lake property. 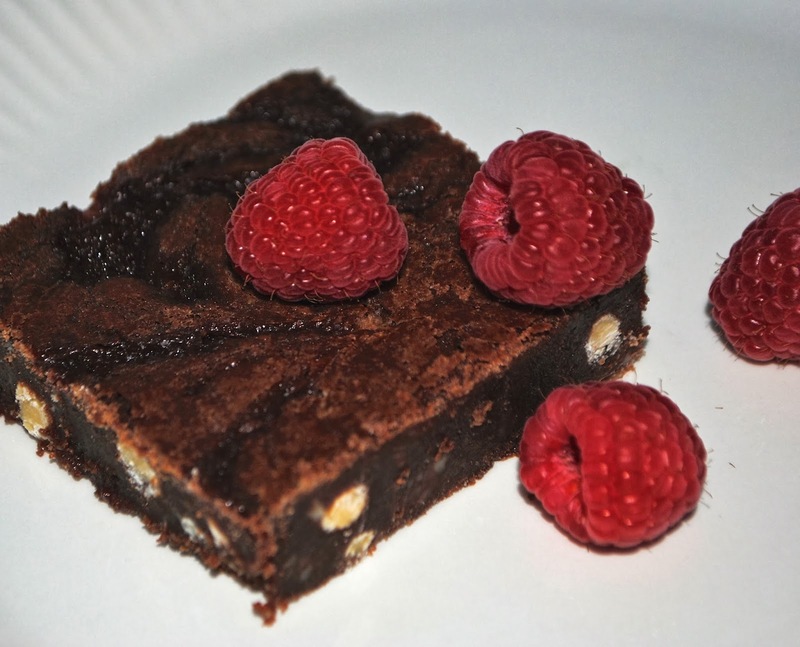 After spreading the delicious jam on toast and biscuits, I had enough left over to bake these delectable bars. Melt chocolate chips and butter in a saucepan over low heat, stirring occasionally, 5 to 8 minutes or until smooth. Remove from heat, stir in sugar and vanilla. Stir in eggs, one at a time, mixing well after each addition. Stir in flour and salt, mix just until flour is moistened. Stir in white chocolate chips. Spread batter into greased 13 by 9 inch baking pan. Drop spoonfuls of preserves on batter and gently pull a knife through batter and preserves to create a swirled effect. Bake for 30 to 35 minutes, or until bars just begin to pull away from the sides of the pan. Cool completely. Cut into bars. We always serve a simple but delicious dessert at the lake, following our simple, and hopefully delicious dinner. 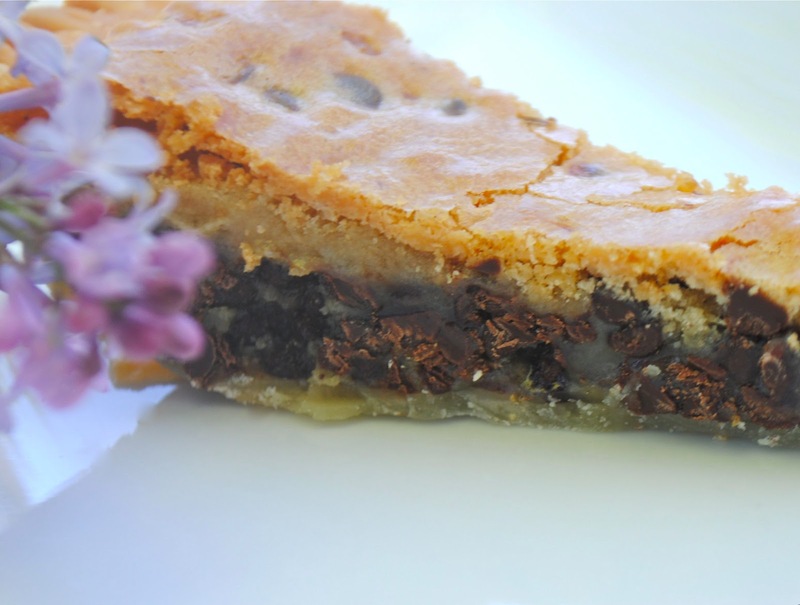 I usually choose a recipe that can be made in advance, and it would seem so far this summer it has been pie, and every one featuring chocolate. My work is done beforehand, and I can visit with friends and relax while at the cabin. Then, after a day of fun all that needs to be done is to cut, garnish, and hand around plates full of wonderful sweetness. Place broken cookies in processor, process until finely ground. Place chocolate chips, butter and sugar in microwave safe bowl. Microwave on high at 15 second intervals until melted, stirring occasionally. Add chocolate mixture to processor and blend until combined. Press crumb mixture onto bottom and up sides of 9 inch glass pie dish. Chill crust while preparing filling. Whisk condensed milk, creme fraiche, lemon juice, and lemon peel in large bowl to blend. Add half of raspberries. Stir, pressing gently on some raspberries, until raspberries begin to break apart and filling turns pink. Transfer filling to crust. Chill until filling is set, about 2 hours. In a small bowl, mix together the sugar, flour, cocoa, and salt. Add to the eggs, mixing well. Gradually add the milk until blended. Pour into a saucepan and cook over medium heat until mixture thickens, whisking constantly. Remove from the heat and whisk in butter and vanilla. Mix well. 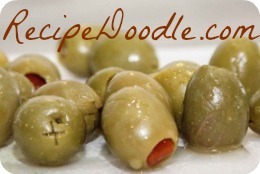 Pour into baked crust, and cook in refrigerator two hours or overnight. Spread whipped cream on top. Beat eggs in an electric stand mixer on high speed, until foamy. Beat in flour, sugar and brown sugar. Beat in butter. Stir in chocolate chips. Spoon into pie shell. Bake for 55 to 60 minutes or until pie is set. Cool on a wire rack. 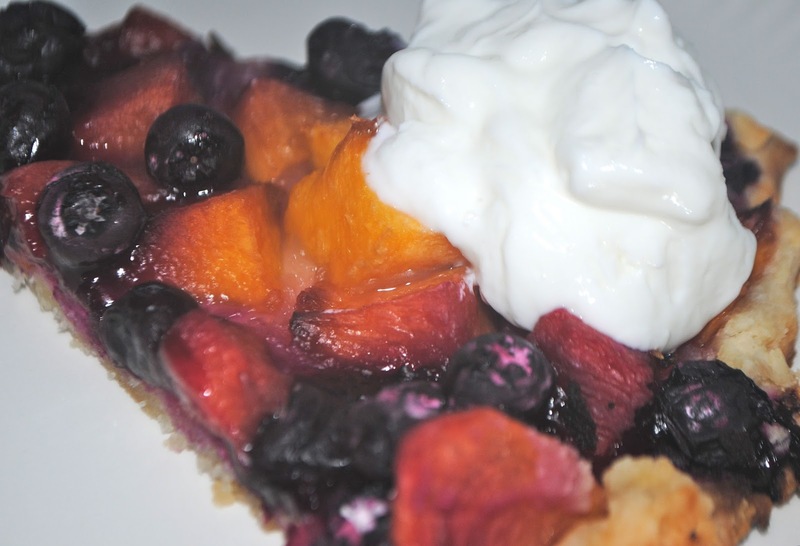 Serve warm or cold with whipped cream or ice cream if desired.